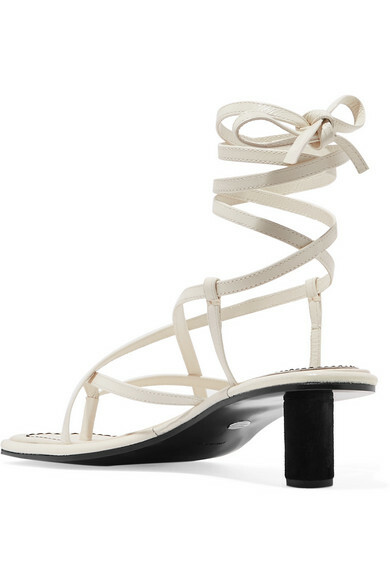 Made in Italy from glossy white leather, Proenza Schouler's sandals have a sculptural square toe and circular kitten heel. 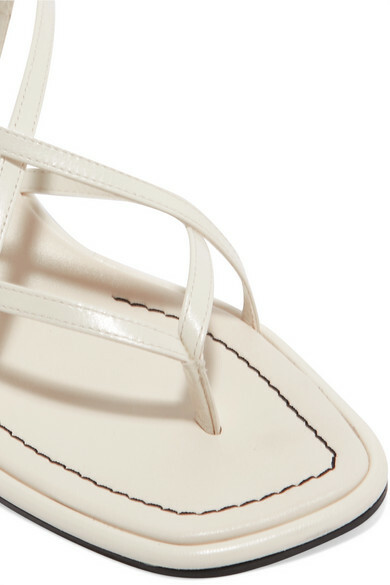 Wrap the ties around your ankle and secure them in a bow for your perfect fit. 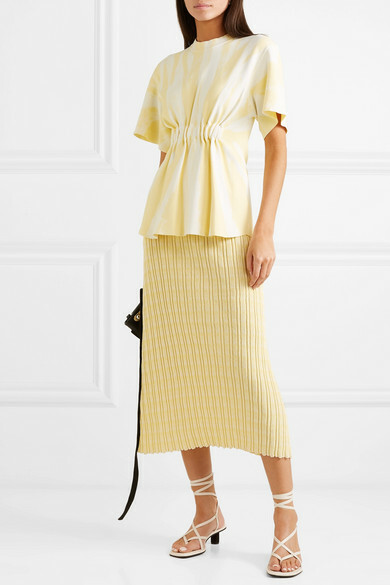 Shown here with: Proenza Schouler Top, Jil Sander Skirt, Loewe Shoulder bag, Saint Laurent Earrings.